I remember coming out of my 200-hour teacher training ready to teach and share all of the tools and knowledge I learned over the past year. When I taught for the first time, however, I sounded exactly like my yoga teacher. From the sequencing, to the verbiage, to the hand gestures—I was a female version of him. When you first start teaching, this is completely normal. But once you learn the process of leading a class, consider your personal message. If you plan to continue teaching yoga for the long haul, it is important to develop your own authentic message, mission, and purpose as a teacher. Here are five useful and effective recommendations for developing your authentic yoga voice. New yoga teachers often overuse filler words like then, um, and so. Ask an honest friend to attend your class and take notice of the language and cues you employ—in particular, the ones you use to fill space. Alternatively, you can record your class, using a video camera, voice recorder, or even a smart phone. If you choose to record your class, respect your students by informing them ahead of time. Let them know that you are only doing this to improve your teaching and better serve your classes. 2. The thesaurus is your friend. Have you ever met a person who constantly apologizes for their actions, no matter the scope or size of the error? After a while, the apology loses its meaning. Like the boy who cried wolf, your go-to teaching cues can get a bit washed out after repetitive use. Grab a thesaurus—web browsers count—and start to write out some word branches! By keeping your teaching cues fresh, you can be more engaging to your students. Consider the following synonyms, for example. Your potentially overused language can flourish into more powerful terminology, too. While some students may not connect with “lengthening the spine,” they might hear “extend upward through the crown of your head” and find greater access to physical awareness in space. After completing my teacher training, I was wide-eyed and ready to teach. We were blessed to be provided with a structure of sequencing and enough tools to safely and accurately lead a vinyasa yoga class. But when I began leading classes, my voice sounded like a mere echo of my teacher’s. This is human nature, of course; but in order to develop a unique voice, a continuation of training may be necessary. One of the most helpful things you can do as a new teacher is to attend other yoga classes—all styles and locations included. Begin exploring other studios in your city, sampling other teaching styles, voices, educational backgrounds, anatomical references, and sequences. This will not only broaden your teaching lens, but also allow you to better connect with the yoga community as a whole. If you’re traveling, find a studio nearby and take a class or two. Even if you don’t particularly connect with a teacher or class, you will find out what doesn’t click for you and begin to gain a library of elements to aid in developing your own voice. If both you and your students were blind-folded, would you be able to understand your instruction? From a student’s perspective, are your cues clear enough to hear and interpret without needing a visual? Some students are visual learners; however, for much of a yoga practice, and specifically in vinyasa classes, your cues alone can take students into their own expression of the postures. A large component of the average vinyasa class is based on movement and asana. When you are observing your class, save the personal practice for another time. Instead, be there to observe and to visualize the body from an anatomical perspective. Think of the body in terms of layers: What is going on beneath the external sheath of the skin? From there, you can effectively guide students into a posture and appreciate what their bodies are actually doing. As a 12-year cancer survivor, Sara fell in love with yoga for its self-healing properties and has been practicing yoga since 2008. Graduating with honors and a BFA in Advertising and Graphic Design from Suffolk University/New England School of Art & Design, Sara became immersed in the corporate world and succeeded in Art Direction and Graphic Design in Boston for the first eight years of her adult life. 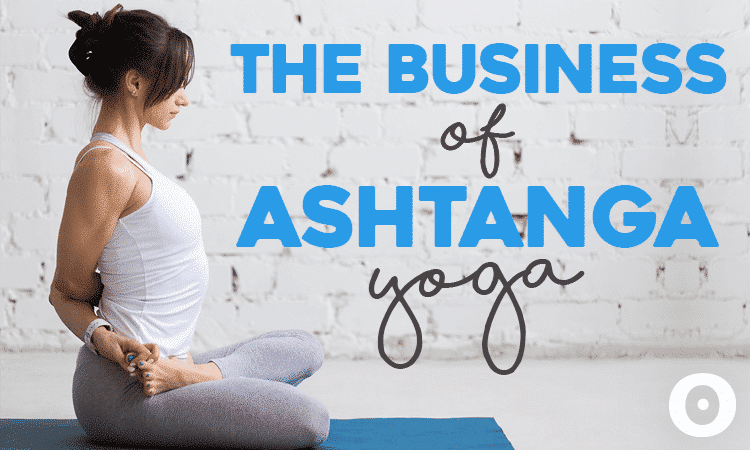 However, her immense passion to heal others through the practice of yoga, creative movement, and honest self-exploration led her to leave the corporate world in 2013 to teach yoga full time. Sara’s mission in life is to inspire others to find a connection to their inner voice, create a balanced life in the real world, and enjoy the freedom of living free—liberating your inner voice through movement, self-inquiry, and creative self-expression. Sara’s teaching ranges from Vinyasa, Power, Budokon®Yoga, Flow + Restore, and paddle board yoga. In her classes, expect a healthy dose of creative transitions, challenging movement, intelligent sequencing, laughter and play—whether on the mat or in the water—at some of Miami’s most sought after spas and fitness centers, including Equinox, Exhale Spa, The Standard Hotel, and Anatomy 1220, along with private instruction. As a graduate from the online Institute of Integrative Nutrition and a contributor to beYogi.com and MindBodyGreen.com, two high-profiled online wellness communities, Sara is forever grateful to all of her teachers and is honored to be an ambassador for KiraGrace, Manduka, Starboard Paddleboards, Da Costa Jewelry, and Sand Cloud Apparel.